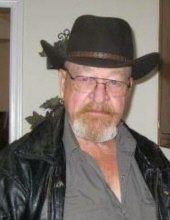 Gordon Harry Bell of Carrollton passed away Thursday, November 29, 2019 in a local hospital. He was born in Carroll County, March 27, 1943, son of the late Andrew Jackson (Jack) Bell and Verdell Welden Bell. Mr. Bell was a member of the Eastside Baptist Church in Whitesburg and a member of the Buckcreek Masonic Lodge #639 in Sandhill. He was retired as a truck driver from Jones Transportation after forty-one years of service. Survivors include his wife to whom he married May 18, 1963, Ann Walton Bell; sons, Rev. Andrew and Elceda Bell of Harrison, TN, Stephen Bell of Covington; grandchildren, Matthew Bell of Harrison, TN, Bethany and Dustin Harmon, Harrison, TN, Ezekiel Bell and Silas Bell, both of Monticello, and a sister and her spouse, Andrea and Larry Brooks of Columbia, SC. Services will be Saturday, December 1 at 1:00 PM from the chapel of Hightower Funeral Home with Rev.Gary Brown officiating. Music will be furnished by Dennis Akin. The following gentlemen will serve as pallbearers; James Hutchinson, Jeff Bell, Mike Driver, Lee Taylor, Danny Attaway and Bobby Bell. Interment will follow in Forest Lawn Memorial Park. To plant a tree in memory of Gordon Harry Bell, please visit our Tribute Store. "Email Address" would like to share the life celebration of Gordon Harry Bell. Click on the "link" to go to share a favorite memory or leave a condolence message for the family.